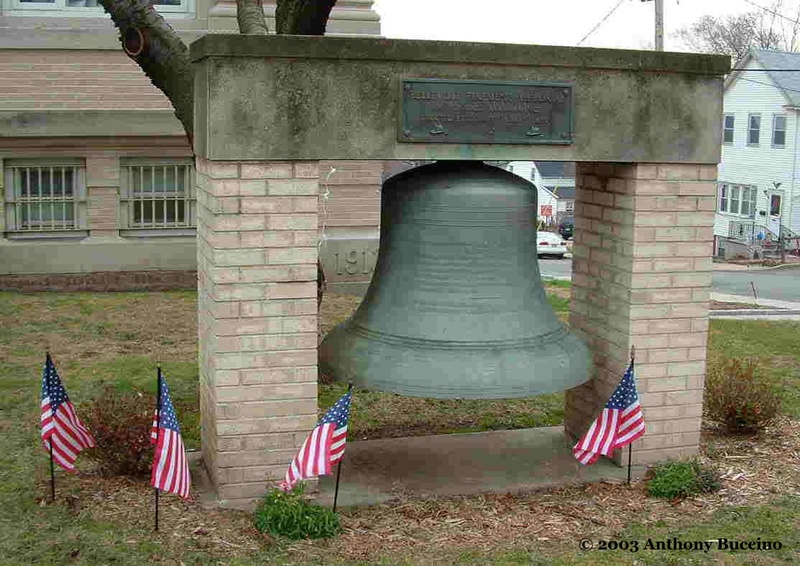 Belleville, N.J. -- The bell was purchased by the Town of Belleville’s Fire Commissioners in 1898. It was cut and cast by the Meeheeny Co. of Troy, N.Y.
Made of bronze and weighing 2,500 pounds, it stands three feet one inch high and is four feet 1-inch in diameter. 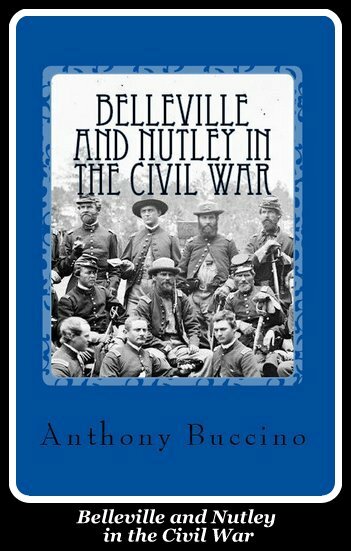 On the day of its arrival in town, there was a parade by the members of the Belleville Fire Department, all dressed in their finest. The bell was hung at the firehouse in William Street, where Volunteer Company No. 2, then known as the Eastwood Company had its headquarters. From 1898 to 1935 it hung in a 50 foot tower at the William Street firehouse, and in what was one of its few joyous occasions, it rang out the news of the Armistice on November 11, 1918. Tuned to the key of "D", the ring could be heard in all sections of the town. Besides summoning firemen to a blaze, it shooed many a youngster off to bed at 9 p.m. every night. Taken down in 1935, it was placed on cement blocks in the rear of William Street firehouse. Public Safety director __ Clark presented the bell to the Belleville Exempt Firemen’s Association, in whose custody it remained until World War II. During WWII, the Exempt Firemen’s Association donated the bell to the salvage drive for scrap metal to help beat the Axis, but the bell was not scrapped, and was left standing in the rear of William Street firehouse, thus preserving its life. It has been rung many times thereafter on the death of a Belleville fireman, the last time being rung at the funeral procession of Fireman Michael Carr passed the William Street firehouse on May 4, 1960. It was agreed upon to erect the bell as a memorial in 1962. We approached John Resciniti, local scrap metal dealer and the rightful owner of the bell since its donation to the scrap drive during the war. 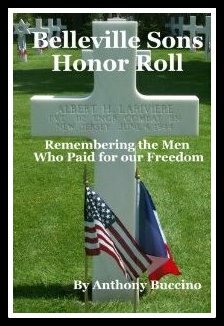 For permission to erect the bell as a memorial. He agreed that since the bell was to be used in such a manner, he would sign over the ownership to the Belleville Exempt Firemen, its previous owners. A committee, consisting of firemen Edward Hollweg, Jr., Robert Shafer an Captain Ralph Castellano worked out plans for the memorial, and by the summer of 1963, work had begun on it. The Exempt Firemen’s Association alone did not have sufficient funds for the entire project, so help was sought elsewhere. The Belleville Firemen’s Mutual Benevolent Assn., Local #29, and the Ladies Auxiliary of the Belleville Fire Dept. donated sums of money to help finance its building. Al the work on the memorial was done by firemen on their off-duty time. The digging for the footing, the brick work, the placing of the bell into position and the limestone and the bronze plaque were put on by firemen. Some help came from others outside the fire department. Vincent Sorrentino of Belleville, a monument setter, donated the use of his truck to swing the ton and a half bell into place. Joseph Dietz, of Belleville, a sign painter, donated the use of his truck and boom to set the heavy limestone in place. And Charles Natale, a retired Belleville fireman, helped lay the bricks that make up the two supporting piers. With all three men, off-duty firemen were present to help. The memorial is intended as a remembrance and tribute to all deceased men who have served as members of the Belleville Fire Department. 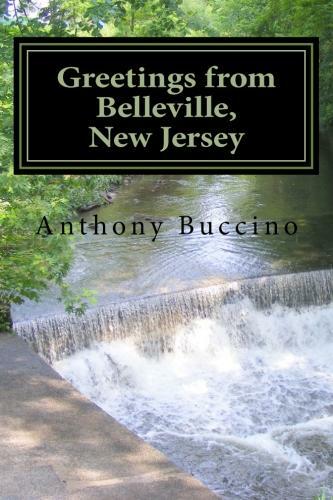 Text provided by Barbara Marino, daughter of John Resciniti, Sr., local scrap dealer whose business was located on Clinton Street in Belleville, New Jersey. Reprinted by permission.